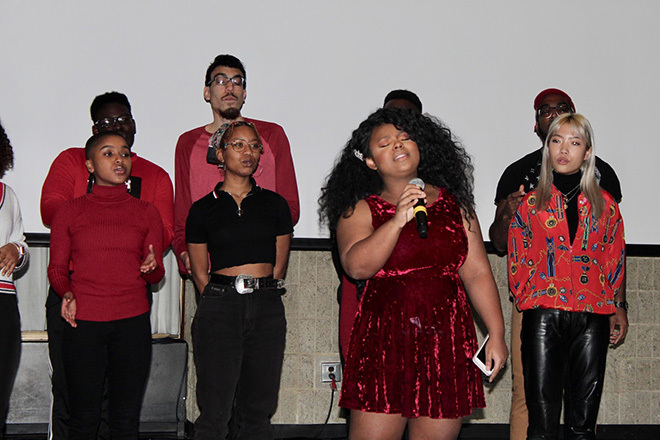 The program opened with a performance of "Lift Every Voice & Sing," also known as the Black National Anthem, which was followed by opening remarks, food and fellowship. 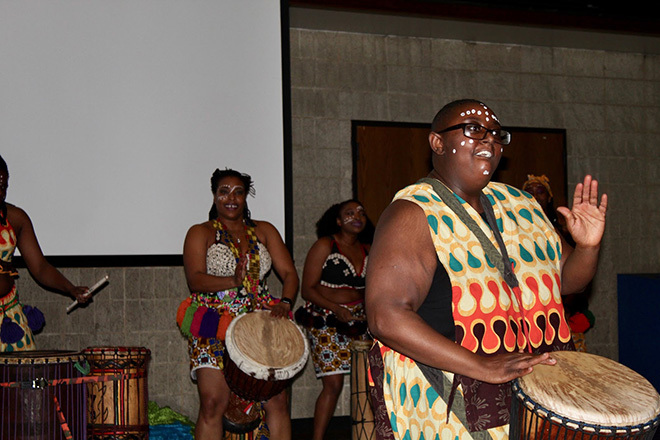 The event was a collaboration between For Members Only, Northwestern’s Black Student Union, and Multicultural Student Affairs. Alyscia Raines, Assistant Director of Multicultural Student Affairs, is the advisor for FMO, which made the collaboration feel natural, she said. While Raines focused on coordinating catering and the reservations, FMO coordinated the performances and the program. The performers for this year were carefully chosen to live up to the expectations set by past Harambee celebrations. “I think upholding legacy was the most important part of choosing performances for this event,” Raines said. Anyah Akanni, the coordinator of FMO, performed a spoken word piece. Soul 4 Real, Northwestern’s African-American a capella group and Northwestern Community Ensemble, Northwestern’s gospel choir, each performed musical selections. Lastly, Medill junior Debbie-Marie Brown, a student poet and singer-songwriter, performed songs from her new EP Not Too Fast. Despite the extremely cold weather, the energy and excitement was the best part of the event this year, according to Raines. Raines said that the program is not only a big event for MSA, FMO and the Black community, but for the institution as a whole.